There is still so many things that I haven’t gotten around to mentioning for this years event. The schedule that is posted (changed now) was from last year and I forgot to make this years adjustments. We hope that this schedule will help speed up the event, mostly by making sure Adult Kickboxing is at a different time than the BJJ events. For those doing both it will make your day longer but you won’t have to worry about missing your event, or stressing out about running back and forth to compete in different divisions. We ask that all adults wait until 9am to weigh in so we can get the children processed, unless you are competing in Kickboxing. You can weigh in up until 1 hour before your event is scheduled to run (so if it is slotted for 2pm, weigh ins close at 1pm). We hope this schedule will also allow people to come when they need as opposed to waiting all day. We do our best to stay as close to schedule as possible and it stresses me out personally a great deal when we are behind. So trust me, I am doing my best. One of the reasons we slow down is the Double Elimination format for beginners and children BJJ, but I really love that people get more experience, so we aren’t changing that. The next biggest reason is lack of refs/Volunteers. 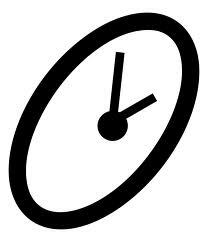 If you are would like to help volunteer as a timekeeper/scorekeeper (a very simple job) please offer your assistance. If you are capable of reffing, please email me at myackulic@arashido.com to let me know. We are also having a reffing clinic at our school to prepare for the event at the North side Arashi Do from 7-9pm. Good luck to all… still lots more to mention.